Thrill Ride Upfront On This Spreader! Wear a helmet if you going to work in the cab of this machine! 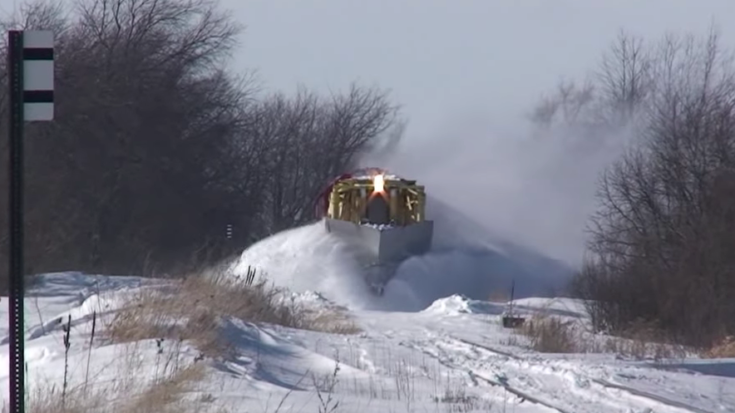 While working to clear the track, the engineer can hardly be seen behind the massive blades parting the snow as the spreader is boosted along. It must be quite a ride sitting behind the center window! This particular spreader is one of the series with the small middle cab forward. She also has, by spreader standards, a medium blade, broken wing, and hydraulic brace locks.